Scientific discussion meeting organised by Professor Samuel Turvey and Professor Erin Saupe. This meeting aims to bring together researchers from the fields of deep-time palaeontology, Quaternary science, historical ecology, and conservation biology to provide expert-based interdisciplinary assessment of the potential opportunities for using different long-term biodiversity archives to inform conservation and environmental management, and critical evaluation of the potential limitations of using past data to understand the present and predict the future. Participants of the meeting will be able to present a poster. If you would like to apply to present a poster please submit your proposed title, abstract (not more than 200 words in third person), author list, name of the proposed presenter and institution to the Scientific Programmes team no later than Wednesday 12 December 2018. Please note that places are limited and are selected at the scientific organisers' discretion. Poster/talk abstracts will only be considered if the presenter is registered to attend the meeting. This meeting is intended for researchers in relevant fields. An evening poster session and drinks reception will be held following the close of the meeting on Monday 28 January 2018. Whilst the posters are free to view for all registered participants, the corresponding optional drinks reception is ticketed. Drinks reception tickets can be purchased in advance during registration. 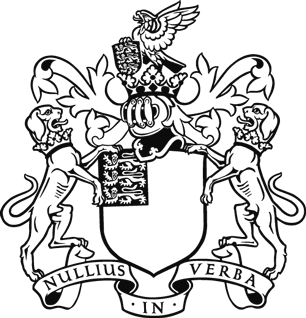 Samuel Turvey has worked at the Institute of Zoology at the Zoological Society of London since 2004, and has previously been based at the University of Oxford (UK) and the University of Canterbury (New Zealand). 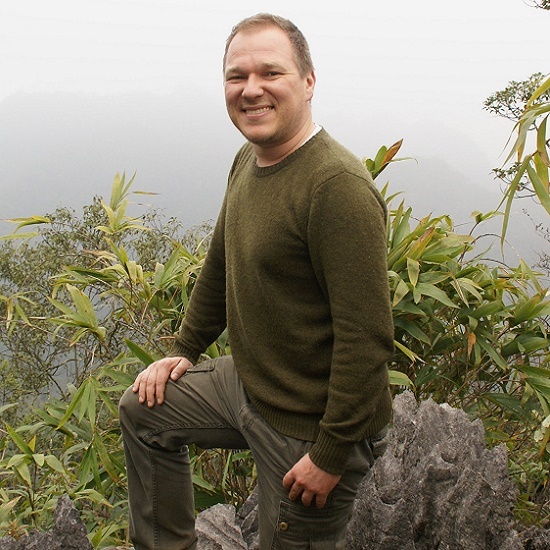 His research uses "non-standard" ecological baselines, including Holocene records (primarily fossil and zooarchaeological archives) and local ecological knowledge, to reconstruct past human-caused biodiversity loss and inform current-day conservation. He is also heavily involved with applied conservation research on highly threatened species, to identify effective management and recovery strategies for tiny, vulnerable populations. He has worked in China for twenty years, and is involved with long-term practical conservation efforts for critically endangered Chinese species such as the Hainan gibbon, Chinese giant salamander, and Yangtze finless porpoise. 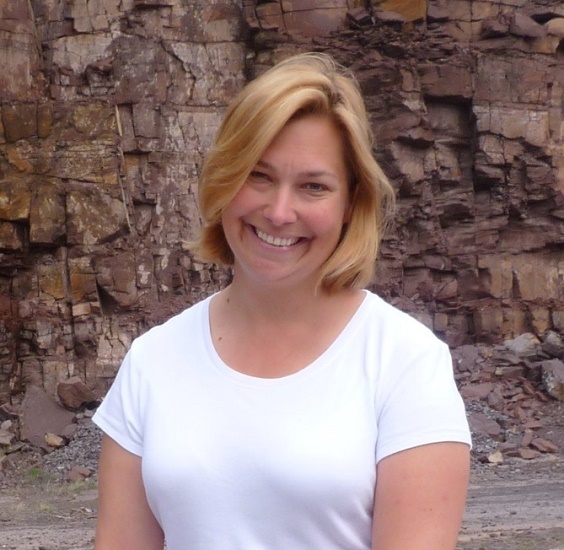 Erin Saupe is a Professor of Palaeobiology at the University of Oxford, Department of Earth Sciences. Her research investigates the interactions between life and environments over geological time scales. 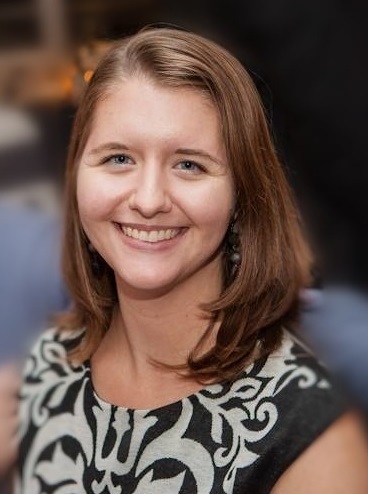 She is specifically interested in elucidating the controls on community and species’ responses to environmental change across various spatial and temporal scales, with focus on the degree to which the fossil record can inform current conservation efforts. Before joining the Department of Earth Sciences at the University of Oxford, she was a research fellow at the Yale Institute for Biospheric Studies at Yale University and also was the recipient of an EAR NSF Postdoctoral Fellowship. She received a BA in Natural Sciences from the College of St. Benedict (USA) in 2007, and a PhD in palaeobiology from the University of Kansas (USA) in 2014. The oceans are being transformed as temperature, pH, and oxygen content all change at rates unprecedented in the recent geological past, but predicting vulnerability to these stressors remains a challenge. However, similar events of rapid climate change have occurred repeatedly in Earth’s deep time past. As a result, the fossil record provides opportunities to test hypothesized effects of climate change on the marine biosphere. For example, are more active organisms less vulnerable to climate change stressors? Are tropical organisms at greater risk of extinction, or does environmental variability influence survival? Can direct physiological stresses from temperature be reconstructed at the level of an individual organism? The nature of the fossil record limits the types of questions that can be asked, but its record of biotic change over evolutionary timescales and at global scales provides a complementary perspective that is difficult to obtain from experiments or observations on the extant biota. Extinction patterns in the fossil record help constrain the mechanisms through which climate change disrupts the biosphere and provide clues that reveal, at a broad scale, the groups that may be especially vulnerable during the coming decades. Matthew E. Clapham is a professor in the department of Earth and Planetary Science at the University of California, Santa Cruz. He received a PhD in paleontology in 2006 from the University of Southern California, focusing on ecological changes and extinctions during the Permian. His current research interests include macroecological trends in the history of life and the physiological selectivity of mass extinctions, particularly focusing on the use of global change events in deep time to test the effects of temperature, oxygen, and pH on marine organisms. The eastern oyster (Crassostrea virginica) plays a vital role in Chesapeake Bay habitats, acting as an ecosystem engineer and improving water quality via filtration. Populations of bay oysters have declined precipitously in recent decades, primarily due to human harvesting and disease. By the time oyster monitoring was established in the 1940s, reefs were already decimated, suggesting that scientists have never actually observed a healthy reef in the Chesapeake Bay. The fossil record, which preserves 500,000 years of once-thriving reefs, provides a unique opportunity to study pristine reefs and a possible baseline for oyster mitigation. For this study, over 4000 fossil oysters were examined from 11 Pleistocene localities in the mid-Atlantic US. Data on oyster shell lengths, lifespans, growth rates, and population density were assessed relative to data from modern oyster monitoring surveys, in addition to archeological and historical sources. Comparisons to modern C. virginica, sampled from similar environmental conditions, reveal that fossil oysters were significantly larger, longer-lived, and an order of magnitude more abundant than modern oysters. This pattern results from the preferential harvesting of larger, reproductively more active females from the modern population. These fossil data, when combined with modern estimates of age-based fecundity and mortality, make it possible to estimate biological function in these long-dead reefs, including carbonate production and filtering capacity. Conservation paleobiology can provide us with a picture of what the Chesapeake Bay looked like, but also how it functioned before humans. We know that current climate change is already affecting biological systems at global scale, and temperature-related stressors (TRS) are often invoked to explain ecosystem changes in deep time. Without the direct anthropogenic stressors complicating responses, we can (1) potentially better isolate the impact of TRS in the past than today and (2) see under which circumstances TRS lead to ecosystem collapse or mass extinctions. There are many complicating issues such as the vastness of geological time, implying large uncertainties about rates of change, the scarcity of non-skeletal organisms in fossil ecosystems, and different players, which perhaps did things differently in the past. However, simulations and new analytical approaches may help reveal time-invariant principles. Insights from past responses to TRS may then allow going beyond current approaches in conservation paleobiology and predict the fate of ecosystems under increasing TRS. For example, tropical reef systems have always collapsed under acute global warming rather than cooling and traits of reef corals are significantly linked to their extinction risk. Focussing on marine systems, Kiessling will first summarise the lessons we have already learnt from the past and then provide some guidelines towards a better integration of palaeobiological knowledge in conservation biology. 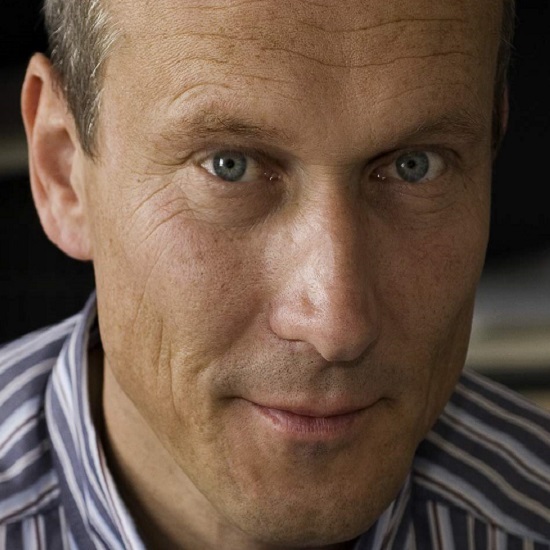 Wolfgang Kiessling is professor and chair of palaeobiology and palaeoenvironments at FAU Erlangen. His research targets ecological and evolutionary processes on large spatial scales and on time scales from decades to millions of years. Focusing on patterns in deep time, he aims at extracting general principles of the interplay between earth system change and biodiversity dynamics in marine ecosystems. His research focuses on coral reefs but also explores the link between climate change and ecological and evolutionary changes in other marine systems. After finishing his PhD in palaeontology (FAU, 1995) he did postdoctoral work at the Museum für Naturkunde in Berlin and the University of Chicago. He became Lichtenberg professor at Humboldt University (Berlin) in 2006 and moved back to FAU in 2012. 11:45-12:15 Are “living fossil” taxa likely to contribute to future evolutionary potential? Are evolutionary distinct species – what may fancifully be called “living fossils” – more or less likely to diversify in the future? The various forms of evidence and argumentation for how evolutionary distinctness may be a predictor of evolutionary potential are mixed. Depending on the scientific discipline and the data, these taxa may either be doomed to extinction or primed for future diversification. With an increasing focus of conservation effort towards the evolutionary distinct, such a question is of growing importance. If it is shown that these “living fossils” have higher rates of extinction and lower rates of speciation, then it may be argued that time and resources should not be spent on these evolutionary dead-ends. Conversely, if these groups can be identified as evolutionary fuses then it may be argued that their conservation is key to safeguarding future biodiversity. Here we map the fates of mammalian clades through time to their evolutionary distinctnesses. We find that taxa that are evolutionary distinct have increasing measures of evolutionary distinctness through time. This indicates that these groups have lower rates of speciation but also lower rates of extinction and, as such, represent neither dead-ends nor fuses. Our finding recasts the conservation arguments: protecting the evolutionary distinct will not secure the future of life; it will, however, not be a wasted effort either. 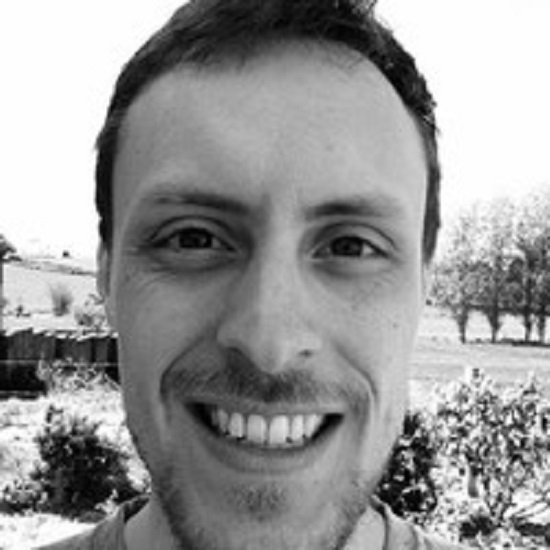 Dominic Bennett is a post-doctoral researcher in the Antonelli Lab at the University of Gothenburg and Gothenburg Global Biodiversity Centre, Sweden. 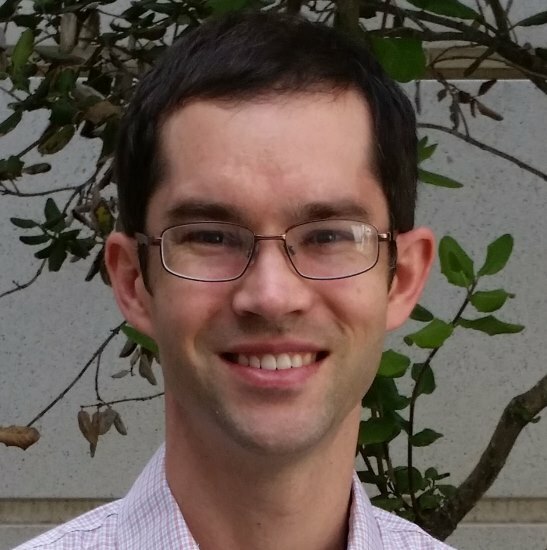 As part of his research, he develops new approaches and software modules for automating and improving the generation of phylogenetic trees. Dominic gained his BSc and MRes from Imperial College London in biological science and recently completed his PhD at Imperial College London and the Zoological Society London in palaeobiology and macroevolution. His PhD project focussed on macroevolutionary trends – with a focus on the concept of the living fossil – to test whether past evolutionary performance is a predictor of future evolutionary performance. To learn more, see Dominic’s Google Scholar and GitHub profiles. 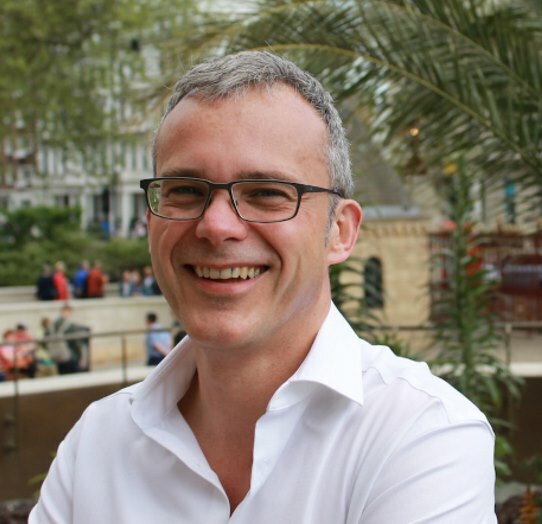 Professor Ian Barnes is based at the Natural History Museum in London, where he is Research Leader for Ancient DNA and heads the Ancient DNA laboratory. A specialist in the analysis and recovery of DNA from museum and palaeontological specimens, he has made significant contributions in the development of ancient DNA as a tool to infer ecological and evolutionary change through time. He conducted some of the first studies of phylogeographic change in Pleistocene mammals, including brown bears and woolly mammoth populations. Since then, he has worked on a wide range of organisms, including the extinct South American Meridiungulates, Caribbean insectivores, prehistoric humans, and British bumblebees. The terrestrial carbon sink has absorbed one third of the anthropogenic carbon dioxide (CO2) emitted since the start of the Industrial Revolution, primarily through increased primary production. Nitrogen (N) availability constrains primary productivity in many temperate and boreal ecosystems, yet the extent to which N might limit the ability of terrestrial ecosystems to sequester current and future CO2 emissions remains uncertain. In order to predict future terrestrial carbon storage capacity and to identify which ecosystems are most likely to store carbon without N limitation, we need to know where N limitation occurs, over what time scale, and how this is affected by ecological and environmental contexts. Palaeoecological data provide important evidence needed to determine long-term plant-N interactions and how these vary under different climatic and biotic contexts. I will describe how statistical modelling techniques have been used to infer centennial-scale N limitation of plant biomass dynamics from fossil pollen and stable N isotope data from Late Quaternary sedimentary sequences, as well as current and future work that will help identify the factors underpinning N limitation in modern terrestrial ecosystems. Elizabeth Jeffers obtained her D.Phil. from the University of Oxford in 2010. 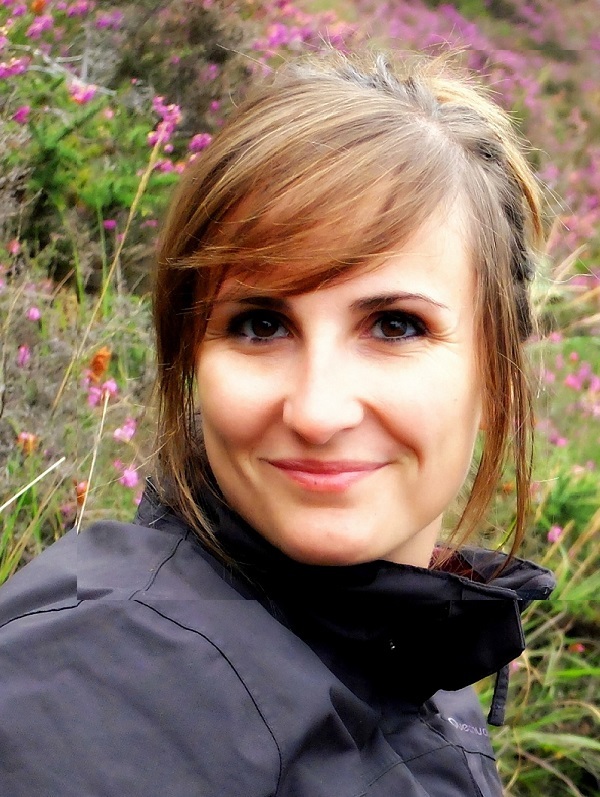 She uses statistical modelling of palaeoecological and dendroecological time-series records to assess the mechanisms underpinning long-term ecosystem dynamics. Her current research aims to uncover the impacts of global environmental change on biogeochemical cycling in terrestrial ecosystems and determine how this variability impacts the quality of forage plants, and in turn alters the fitness of large bodied consumers. This research involves the collection and modelling of long-term ecological data from natural archives including sedimentary deposits, tree rings and fossil bones. 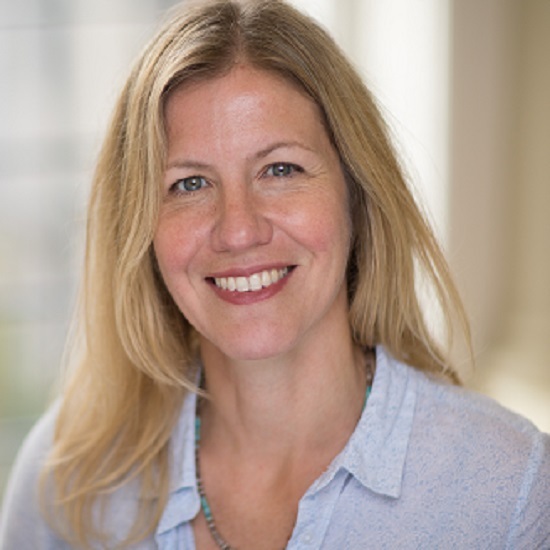 Elizabeth is a Lecturer in Long-Term Ecology within the Department of Zoology at the University of Oxford, and Academic Co-Director of the Oxford Doctoral Training Partnership in Environmental Research. Recent developments in DNA extraction and sequencing methods have revolutionized our ability to recover genetic information from ancient bones and teeth, thus making it possible to generate data on mutation rates as well as temporal changes in genomic diversity, inbreeding levels, gene frequencies and population size. In particular, such ancient DNA studies have enabled detailed reconstructions of the timing, rate and extent of demographic declines, and to what extent these these coincided with past environmental fluctuations, such as changes in climate and sea levels. Moreover, whole genome sequences from serially sampled ancient specimens now make it possible to investigate to what extent environmentally driven demographic declines led to inbreeding and accumulation of deleterious genetic variants. Love Dalén is a Professor in Evolutionary Genetics at the Swedish Museum of Natural History. His main research interests are focused on the use of ancient DNA data to investigate the ecology and evolution in wild animals. He is particularly interested in exploring the impact of past environmental change on the distribution and abundance of various animals, and understanding the genetic consequences of small population size as species approach the brink of extinction. His research group works on sequencing genomes from a broad range of both extinct species such as woolly mammoths, cave lions and woolly rhinos, as well as species that have survived until present, for example wolves, lemmings and arctic foxes. The long-term impact of Middle and Late Pleistocene glacial-interglacial change led to the major reorganisation of mammalian faunal communities in northern Europe through species origination, extinction, evolutionary change and distributional shifts. However, it is clear that the particular climatic and environmental parameters of each interglacial resulted in the generation of very different faunal assemblages in terms of composition and diversity, depending on the length and stability of the interglacial, the rapidity of climatic warming and the changing nature of physical barriers and competitors. Nevertheless, despite the relatively coarse temporal resolution of the record over much of the last half million years, the overall ‘predictability’ of interglacial community composition is arguably better than for the Last Glacial-Interglacial transition, when extreme and abrupt climatic changes resulted in spectacularly rapid aggregations of species that are frequently referred to as ‘disharmonious’, by comparison to their present day biogeography. Using evidence from north-west European interglacial records, combined with new archives based on British cave sequences, the presentation will examine the reasons for the contrast in structure between warm and cold stage faunas and evaluate the capacity of mammalian taxa to withstand abrupt climate change during the terminal Pleistocene. Danielle Schreve is a Professor of Quaternary Science in the Department of Geography at Royal Holloway University of London. 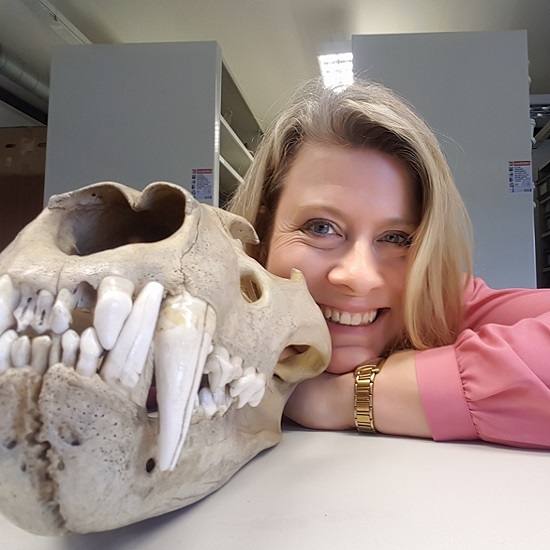 Her research on Quaternary mammals combines biostratigraphy and the reconstruction of past environments, with the investigation of palaeobiological aspects such as extinctions and evolutionary change, and the interaction of past mammalian communities with early humans. She is particularly interested in the study of mammalian responses to long-term patterns of interglacial climate forcing and in community reorganisation in the face of abrupt climate change over the last glaciation. Her research is increasingly applied in the fields of ancient DNA and conservation biology, in order to establish baseline conditions for mammalian dispersal in the past and to identify sources for reintroduction of extirpated species. She is also an active fieldworker, currently leading investigations into a number of important new cave sites in Britain. Climate influences the structure of both mammal and plant assemblages across space and time, seen most clearly in the emergence of novel mammal and plant assemblages coincident with novel climates during the late Quaternary. The past therefore implies that novel assemblages should be expected for the future given the rate and magnitude of projected future climate change. Prior work, however, has typically examined the relationship between Quaternary climate and biodiversity in mammals and vegetation separately, without consideration of how these two groups are influenced by one another. Including both mammals and vegetation in ecological models of the influence of climate on assemblages may be necessary to capture a fuller set of processes influencing spatiotemporal changes in species distributions and community structure. Together, these two issues – novel climates and narrow taxonomic focus – may influence the reliability of inferences from ecological forecasts through time and especially into the novel climates expected for the future. This talk uses late Quaternary fossil pollen and mammal data from the Neotoma Paleoecology Database to explore the reliability of ecological forecasts through time and examine whether including cross-trophic associations, in addition to climate, as predictors in community-level models improved the ability to capture and model meaningful ecological variation across space and time. 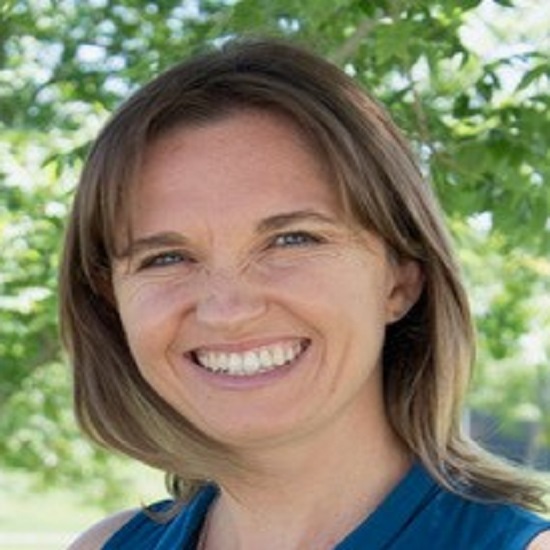 Dr Blois is currently an Associate Professor in Life and Environmental Sciences at UC Merced. She received her undergraduate degree in Ecology, Behavior, and Evolution from the University of California, San Diego and then worked for a few years for the U.S. Forest Service in Oregon and California. She then went on for graduate work, first earning her M.A. in Biological Sciences from Humboldt State University, then her PhD in Biology from Stanford University in 2009. She did a postdoc at the University of Wisconsin, Madison before starting her faculty position at UC Merced in January 2013. Her research is focused on understanding the factors contributing to changes in genes, species, and communities across time and space, using small mammals and vegetation over the last 50,000 years in North America as a study system. Georgina Mace DBE FRS is Professor of Biodiversity and Ecosystems at the UCL Centre for Biodiversity and Environment Research (CBER). Her first degree was in Zoology and she has a PhD in evolutionary ecology. Her research interests are in measuring the trends and consequences of biodiversity loss and ecosystem change, especially in the context of climate and other global changes. 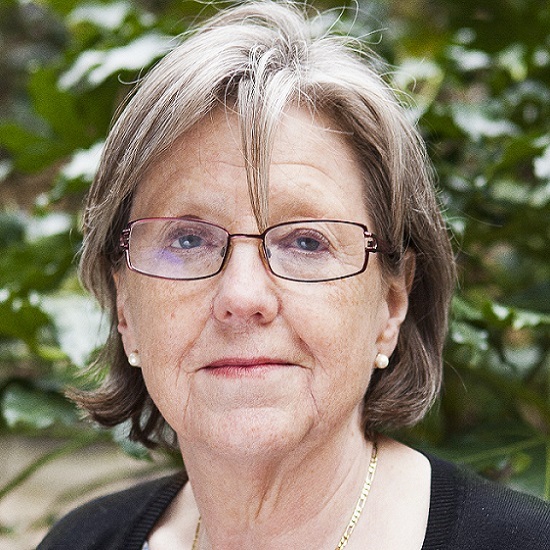 Her work has contributed to methods for identifying species at risk of extinction and assessing biodiversity in relation to ecosystem services. Her recent work focuses on the links between environmental condition and poverty alleviation, and debates concerning natural capital accounting. She was elected an FRS in 2002, was the winner of the 2007 International Cosmos Prize and the 2016 Heineken Prize for Environmental Science, and made DBE in 2016. Humans have driven biodiversity loss and modified ecosystem structure for millennia. Using modern ecological data therefore has the risk of considerably affecting our understanding of ecological patterns of “natural” species distributions and of the dynamics and drivers of past extinctions. This bias ultimately narrows our perception of the options available for conservation and the potential for species’ recovery. Long-term archives are often perceived as unsuitable for ecological analyses because of the substantial levels of bias and error they may contain. However, by extending the timeline usually considered in ecology, they can provide unique new insights into extinction dynamics and changing species distribution through time and represent a unique opportunity to better inform regional environmental management. Assessment and utilization of long-term archives thus represent both a methodological challenge and an important conservation research priority. Here, we integrate fossil, historical and modern occurrence records of large mammals in Southern Africa from the Holocene to the present and explore the challenges and opportunities associated with using long-term biodiversity data in ecological analyses. We present some limitations of fossil and historical records and highlight the importance of considering these long-term archives to estimate species’ historical distribution and natural habitat requirements. We evidence local extinctions and changes in community composition, consistent with a response to the demographic expansion of European colonists in South Africa. These results contribute to novel baselines for conservation and provide a strengthened evidence-base for understanding long-term faunal responses to human pressures. It also allows the “shifted baselines” around modern mammal distributions to be identified, providing an avenue for new analyses of large mammal biogeographic patterns in Southern Africa. 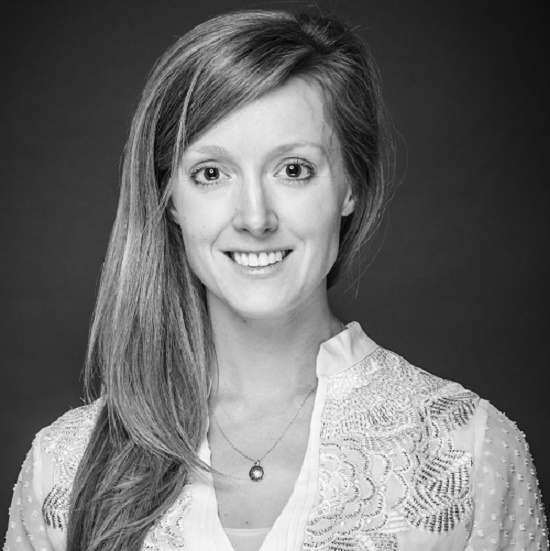 Sophie Monsarrat is a postdoctoral fellow in the Department of Bioscience at Aarhus University, Denmark, previously based at the Centre for African Conservation Ecology at Nelson Mandela University, South Africa. Her research lies at the interface of biogeography, conservation and history, with a focus on the long-term impact of human activities on biodiversity patterns at large spatial scales. She recently joined the MegaPast2Future project, which aims at developing a solid, synthetic understanding of megafauna ecosystem ecology and its potential role in developing a sustainable, biodiverse future. She has a PhD from Montpellier University, France, where she studied the impact of human exploitation on the historical distribution and abundance of marine mammals. Long-term data are vital for tracking changes in biodiversity through time. The Holocene contains a rich fossil record of global biodiversity for the last 11,700 years to the present day. It is therefore considered a particularly robust data source for researching dynamics and drivers of species extinction, and for informing our understanding of the current extinction crisis. However, as with all fossil datasets it nonetheless suffers from incompleteness and bias. Without knowledge of the extent of these biases we risk making false inferences, which in turn limit the use of this data for conservation. Patterns of bias and/or incompleteness were investigated in two Holocene fossil data sets collected at different spatiotemporal scales. Firstly, factors associated with the description date of 256 extinct mammals were analysed in order to assess bias in our knowledge of global, species-level mammal extinctions. Secondly, sources of bias were identified in a dataset of nearly 20,000 fossil mammal records used to reconstruct population-level range change and extinction. A number of biases were found in both datasets, with the Holocene fossil record general biased towards the discovery and description of larger-bodied mammals in continental regions, compared with smaller-bodied mammals in insular regions. The implications of these results in shaping our understanding of past biodiversity loss and our ability to use the Holocene fossil record in conservation-related research are discussed. 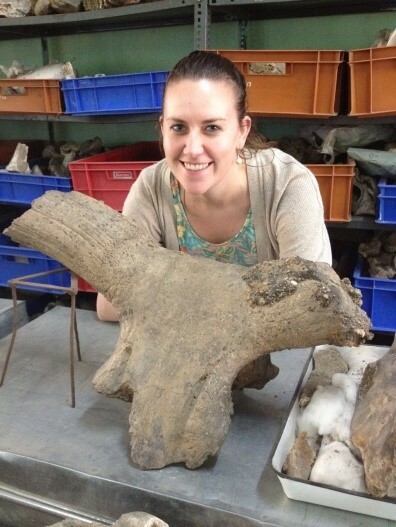 Jennifer is a postdoctoral researcher at the Natural History Museum in London researching dynamics and drivers of Late Quaternary megafaunal extinctions in northern Eurasia. Her broad research interest involves using diverse data sources (from palaeontology, archaeology, history and ecology) to understand the impacts of humans and climate change on biodiversity through time. She is also interested in how we can use scientific information to best influence policy, and has worked for the UK government and Parliament in sustainable development and science policy, as well as carrying out consultancy research for NGOs on conservation and rewilding. Understanding past environmental baselines and the extent that human activities have already affected species and ecosystems is crucially important for today’s “conservation hotspots”, which contain disproportionate amounts of threatened biodiversity. It is necessary to evaluate the unique information content of different long-term archives, and determine what novel insights are available on past ecosystem structure and change, in order to understand how past baselines can inform current conservation research and management. Eastern and Southeast Asia contain the world’s highest numbers of threatened vertebrates and plants, and the region has a long history and prehistory of human occupation. Within this region, China (a huge, ‘megadiverse’ country) possesses diverse ecological archives including a millennial-scale historical record and rich Late Quaternary palaeontological and zooarchaeological records. By integrating and analysing a series of complementary, temporally non-overlapping archives (fossils, a ~400-year gazetteer record, and ethnic minority group oral traditions and local knowledge), the history of a regional Chinese mammal fauna is reconstructed across the Holocene, revealing that Hainan Island has experienced an ‘extinction filter’ associated with protracted, ongoing depletion of large mammal diversity over recent millennia, rather than recent ecological collapse of a faunally intact system. However, China’s Quaternary faunal archives are all incomplete and biased in their information content on key ecological parameters, and differ from each other in their representativeness of past diversity. Whereas palaeontological, zooarchaeological and historical records are an invaluable resource for reconstructing pre-human environments and biodiversity loss through time, interpreting and extrapolating what they show therefore requires both caution and context. Conservation biologists face a daunting challenge: conserving biological diversity and services during a carbon release event potentially as big as the Paleocene-Eocene Thermal Maximum, rises in global mean temperatures to Pliocene-like levels, at rates as fast or faster than those during the abrupt events of the last glacial period and deglaciation, and with hydrological extreme events likely to be as or more severe than those of the Holocene. The emergence of novel 21st-century climate rates and states challenges the predictive ability of ecological forecasting models; hindcasting tests against benchmark fossil records from the last deglaciation show a steep drop-off in predictive ability as climatic novelty increases. Improved ecological forecasting, however, can be achieved by the close integration of predictive models with neo- and paleoecological observations encompassing a broad range of timescales, processes, and system states. Advances in data-model assimilation are particularly promising and require a tight and iterative coupling between data and models. This in turn requires the assembly of paleoecological data into open data systems and with data quality improved on an on-going basis by expert curation, new data generation, and synthesis. Such efforts can also indicate key areas of model uncertainty that can be the target of new data-gathering campaigns. 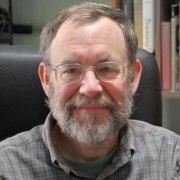 John (Jack) Williams is a professor in the Department of Geography at the University of Wisconsin-Madison and a former director of the Center for Climatic Research. Dr Williams’ research focuses on the responses of species and communities to past and future climate change. Research themes include novel climates and ecosystems, causes and consequences of past species extinctions, abrupt ecological and climate change, and the last deglaciation as a model system for understanding 21st-century climate change. Awards include the Cozzarelli Prize from the Proceedings of the National Academy of Sciences, Cooper Award from the Ecological Society of America, the Phil Certain Distinguished Faculty Award and Romnes Fellowship from the University of Wisconsin-Madison, an Aldo Leopold Leadership Fellowship from the Stanford Woods Institute for the Environment, and an Institute for Advanced Study Fellowship at Durham University. Most current real-world ventures named as rewilding fall under the concept of trophic rewilding, as do most discussion of rewilding. Trophic rewilding is an ecological restoration strategy that uses species introductions to restore top-down trophic interactions and associated trophic cascades to promote self-regulating biodiverse ecosystems (http://bit.ly/rewildingPNAS). Trophic rewilding is often focused on large-bodied animals (both herbivores and carnivores) due to their ecological and societal importance and the widespread, strong historical and recent prehistorical losses of megafauna in most regions around the world. In this presentation, I will first discuss the concept of trophic rewilding, and then outline the scientific background for trophic rewilding, integrating paleoecology and contemporary ecology. Key themes here will the fact that megafauna-rich ecosystems have been the norm on evolutionary timescales, with the widespread modern-day megafauna-poor ecosystems being a novel situation, and the emerging evidence for the strong ecological importance of large-bodied animals. I will also discuss the current role of trophic rewilding in nature conservation and ecological restoration as well as its potential, now and in the future. Linked to this, I will also discuss tricky issues such as base-lines, relations to other land uses, perceived risks to people and ecosystems, and the use of exotic species in rewilding. Finally, I will outline key priorities and possibilities for this research field. 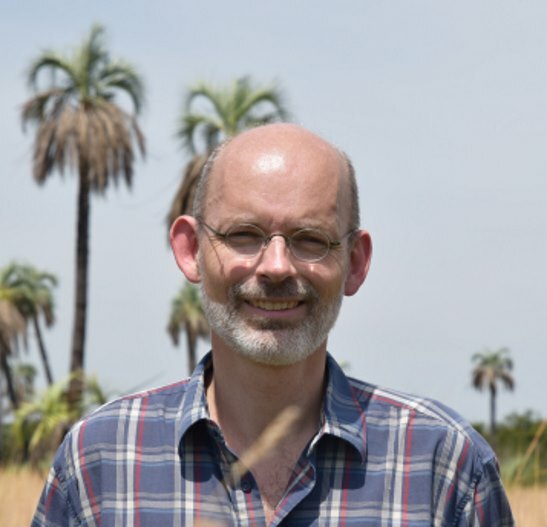 Jens-Christian Svenning has a PhD degree in tropical plant community ecology from Aarhus University in 1999. 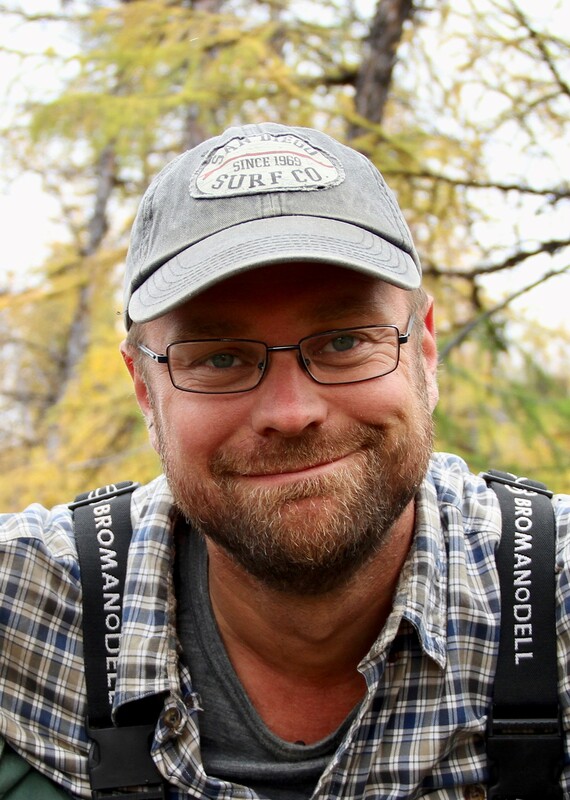 While he has maintained his research interest in the tropics, he has developed a broad research portfolio to cover macroecology and biogeography, global change biology, extra-tropical community ecology, megafauna as well as applied work related to conservation and restoration, notably rewilding, and even expanded into physical and human geography. 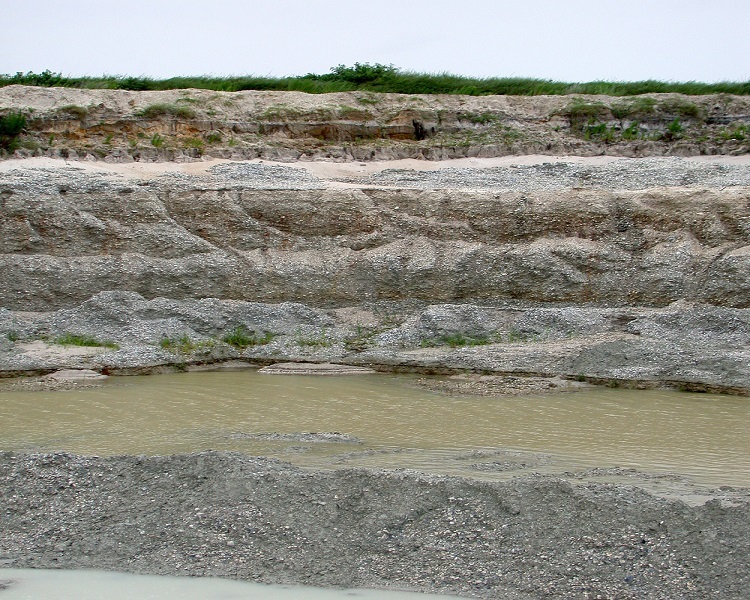 In much of this work, a key interest has been incorporating long-term paleoecological perspectives into our understanding of contemporary and future ecosystems. He current leads Section for Ecoinformatics & Biodiversity and Center for Biodiversity Dynamics in a Changing World (BIOCHANGE: http://biochange.au.dk), which aims to improve our understanding and predictive capacity of the complex human-driven biodiversity dynamics and their consequences for people and society, and to develop novel solutions to promote a biodiverse future. Ancient human impacts to ecosystems are often underestimated because such changes took place gradually and left little recorded evidence. This translates into distorted perceptions of what natural ecosystems correspond to – i.e., into shifted ecological baselines – that have pervasive effects on management and conservation decisions. For example, biodiversity indicators built from recent data on species’ distributions, population sizes and trends – such as the Red List Index and the Living Planet Index – underestimate the extent of human impacts and may translate into unambitious conservation goals and recovery targets. It is however not straightforward to obtain biodiversity indicators that take into account ancient impacts, given the incompleteness of the historical record. Furthermore, variations in the timeline of impacts across species and regions mean that there is not a single appropriate baseline date that is applicable to all. This presentation will introduce a new approach for assessing populations according to the extent to which they have been impacted by past human activities. It will illustrate its application to large whale species, to show how such assessments can be applied consistently across species with very different impact histories and with wide variations in the depth of available historical data, by making the best use of the information available in each case. Multi-species assessments can then be aggregated into temporal and spatial indices of biodiversity that are less prone to the shifting baseline syndrome. 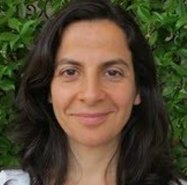 Ana Rodrigues is a Senior Researcher at the CNRS (Centre National de la Recherche Scientifique) in Montpellier, France. Her research lies at the interface between ecology and biodiversity conservation, with the study of large-scale spatial biodiversity patterns as the unifying theme. She aims to understand the ecological, evolutionary and anthropogenic processes shaping these patterns, as well as their implications for the conservation of biodiversity. This includes a research line investigating historical human impacts on the distribution and abundance of whale species, in collaboration with historians and archaeologists. She obtained a first degree in 1996 and MSc in 1998 from the University of Lisbon (Portugal) followed in 2002 by a PhD from the University of Sheffield (2002). She was then a postdoctoral fellow at Conservation International in Washington DC (USA), and a Marie Sklodowska-Curie fellow at the University of Cambridge (UK), before joining the CNRS as a researcher in 2009. The most widely-used global metric of species conservation status today is the IUCN Red List of Threatened Species, which assesses species’ extinction risk. The timescales over which changes in species status are evaluated must necessarily be relatively short (10 years or 3 generations, depending on the species) in order to highlight rapid declines in population size or range which may signal acute threats to species persistence. However, this relatively narrow temporal focus presents a danger of shifting baselines, since declines which have occurred in previous centuries often do not fall within the relevant time window for assessment. This talk outlines the opportunities and difficulties in using historical data (accounts, museum records, zooarchaeological and fossil records, etc.) to inform Red List assessments and also introduces the IUCN’s response to the challenge of shifting baselines: The Green List of Species. The Green List of Species, currently in development, will be used to measure species recovery against a baseline set centuries ago, rather than decades. The Green List will allow long-term ambitions to restore species to historical levels to work in parallel with the crucial short-term focus on preventing extinction, providing a more comprehensive conservation story that includes a species’ past, present, and potential future. Dr Grace is a NERC Knowledge Exchange Fellow based in the Zoology Department at the University of Oxford. Her postdoctoral work focuses on assessing species recovery, specifically by accelerating the development of the International Union for Conservation of Nature’s (IUCN) Green List of Species as a member of the IUCN Species Conservation Success Task Force. In her capacity as a KE Fellow Molly is working to maximise the value of the Green List for non-academic users (e.g.businesses, governments, practitioners).